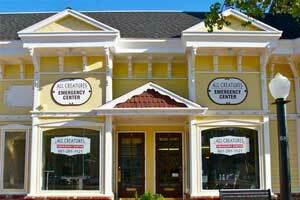 All Creatures Veterinary Center is proud to serve Newhall, CA and the surrounding areas. We are dedicated to providing the highest level of veterinary medicine along with friendly, compassionate service. We welcome all new clients to our veterinary facility. We invite you to contact us today. If you have any questions or concerns, please don't hesitate to call us at (661) 291-1121. 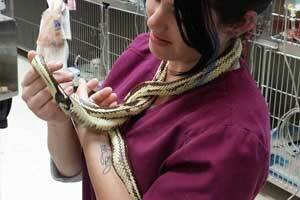 At All Creatures Veterinary Center, we offer a variety of services to care for your pet. If you have any questions or would like more information on how we can care for your pet, please contact us today. The team members at All Creatures Veterinary Center are pet lovers, just like you, and we treat every patient with gentle, loving care. After all, pets are family! We are an AAHA-accredited, 24-hour facility that provides affordable care to dogs and cats, including preventive, emergency/critical, specialty care and rehabilitation. We gladly welcome patients from Newhall, Santa Clarita Valley, Antelope Valley, San Fernando Valley, and surrounding areas. Our 24-hour veterinary hospital, founded in 2011 by Dr. Sandhu, is situated just outside of downtown Newhall, California, in the renowned Victorian-style building in Newhall. We are confident that both you and your furry friends will have a pleasant, memorable experience each time you visit us...because we’re not just centered on pets; we’re centered on people, too. All Creatures Veterinary Center has been accredited with the American Animal Hospital Association (AAHA) since 2014. As an AAHA-accredited hospital, we hold ourselves to a higher standard in veterinary care, regularly undergoing an evaluation on approximately 900 standards. These include emergency care, diagnostics, and facility cleanliness. Only 13% of all veterinary hospitals are AAHA accredited in the U.S. and Canada, and we are proud to be one of them. Whether you’re a new or existing client, we appreciate your choosing All Creatures Veterinary Center to care for your pet. Feel free to browse our website to learn more about us, and give us a call if you have any questions. Our team will be glad to assist you. Thank you for visiting!